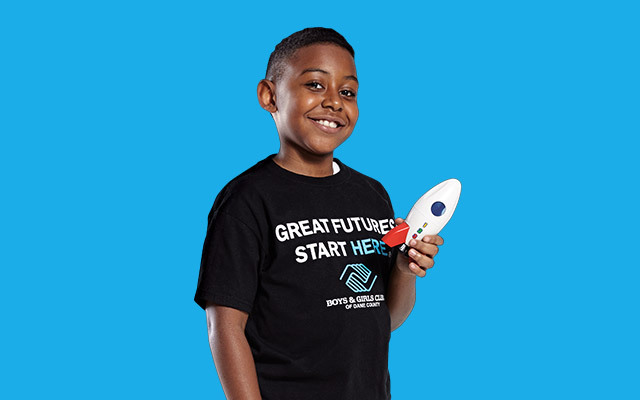 Boys & Girls Club of Dane County would not be possible without donations from the generous individuals, businesses, organizations, and foundations in our community. Show your support for the Sun Prairie Club with the purchase of a commemorative brick for permanent installation at the entrance of the new Sun Prairie location. The kindness and support of local corporations and organizations are vital to the operation of Boys & Girls Club of Dane County. There are a variety of ways businesses can offer their support, whether it be monetary, in-kind, or through employer matching. We are open to any level of support your corporation is able and willing to give to assist us in providing safe spaces, daily meals, and quality programs to the youth in our community. Many businesses across the world encourage employees to give back to their communities through employer matching. Employer matching means that businesses pledge to match contributions made by their employees to a local charity of their choice, thereby doubling the original contribution. Get your donation to go the extra mile. Check with your employer to see if they offer employer matching today. In-kind giving simply means donating goods and services instead of donating money directly. Boys & Girls Club of Dane County accepts and appreciates many forms of in-kind giving. Our Wish List is another opportunity for in-kind giving. We pride ourselves on the top-notch condition of our Dane County Clubs, and that means we are in constant need of supplies. The items we need to maintain and improve our institutions make up what we call our wish list, found below. notebooks, pencils, scissors, markers, pens, calculators, etc.